You’ll be met at your hotel or other agreed meeting point and enjoy a drive by private car to Windsor, a location that has been linked to British monarchy for more than 900 years. 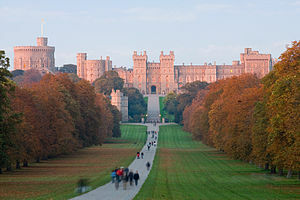 It is also the weekend home of the Queen, who very much enjoys spending time at Windsor Castle. On this half-day tour, you’ll visit the sumptuously decorated castle and hear about its history. The royal residence houses more fine art, gold, and furnishings than is imaginable. Inside the walls, you’ll also find the chapel where a number of kings and queens have been buried. You’ll take a walk around the castle walls, see the soldiers on guard, and maybe even a royal if you’re lucky! Following the Castle visit, you’ll take a walk around Windsor Old Town, visit the famous park, and see the Crooked House, perhaps stopping for tea, or maybe a beer at a 500-year-old pub. The tour is leisurely paced and will cover everything you’re interested in seeing in the time allotted. Alternatively, you can book through Viator (Trip Advisor) by clicking below).